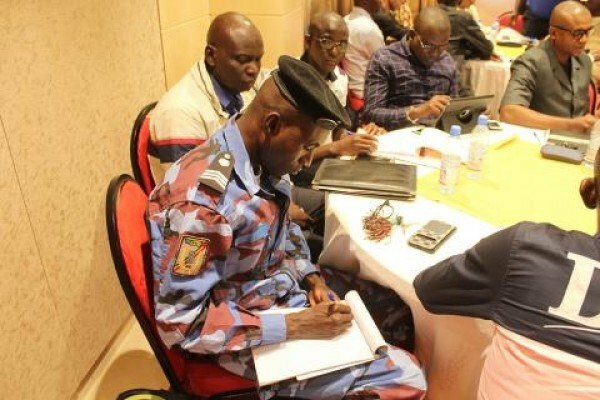 The International Organization for Migration (IOM) in partnership with the Government of Mali has organized a training to assist law enforcement agents working in the West African country’s borders and airports identify traffickers and their victims. The training, which took place from February 25 to 28, 2019 in Bamako, was in response to the increasing number of victims of trafficking among migrants now present in Mali as they move mainly from West and Central Africa, particularly Nigerian women who are often sexually exploited in gold mining areas, according to reports. The workshop is being funded by the United Kingdom’s Department for International Development (DFID) to enhance the capacity of the border police, vice squad and national gendarmerie operating at stations, airports and border posts and registering migrants. “IOM’s priority is to provide appropriate assistance to migrants in transit and particularly those in vulnerable situations stranded along the Central Mediterranean route,” said David Coomber, IOM’s Acting Chief of Mission in Mali. Already, the European countries have been condemned for funding and training Libyan Coast Guards to find and detain migrants in camps after these have tried to reach the continent through the Mediterranean but are refused landing access. Such migrants have been shown in videos recently released online in which the victims are tortured by the camp operators and are made to call their relatives back home, demanding huge sums of money to regain freedom. Some of the victims were seen in the videos burnt with molten plastics and whipped several times with a concrete block tied to the back of one of them, especially at the camp in the city of Khums. Some are also sold to human traffickers, with coast guards using live ammunition on the migrants to quell their protest over the inhumane practices. Sally Hayden, a journalist who secretly tracked the incidents for months, described the plight of the migrants, including trafficking victims, as horrific. Gullia Tranchina, an Immigration Lawyer also spoke of evidence of touture and extortion of the victims as well as detention spanning about three years before being sold as slaves. “I have seen migrants covered in scars, completely traumatized as they narrate what they went through in Libya,” she told the U.K.based Channel 4 TV. Mali has a strategic position in West Africa as a transit country for thousands of migrants from the sub-region who wish to travel to North Africa or Europe. Human trafficking is said to be generating $150bn annually in illegal profit as traffickers can sell a person multiple times. Data collected at the Flow Monitoring Points (FMP), from 1 July 2016 to 31 January 2019, revealed that more than 160,000 migrants, including 110,000 outbound migrants, were observed in Mali. DFID, IOM and the Government of Mali have, therefore, launched a two-year “Safety, Support, and Solution” programme in Mali and in several countries in West and Central Africa to provide protection and assistance to migrants in transit who are more at risk of trafficking along the Central Mediterranean route.